moghalmari | It's a Miracle! Driving on a straight stretch of National Highway-60 from Medinipur to Balasore, you would be forgiven for missing the small sign unbefitting one of the most significant archaeological sites discovered in Bengal. After all, the sleepy hamlet Moghalmari, is similar to others in the southern part of Paschim Medinipur district, close to the border with Odisha. But after traversing a few hundred metres off the highway, you come across an impressive hillock, which locals refer to as the “mound of Sakhisena” and the “mound of Sashisena”. My own native village is in the vicinity so I’m familiar with the area, but even a day-trip will acquaint the casual observer with the geography of the region and to that the fact that this is an anomaly since most of the region is very flat. 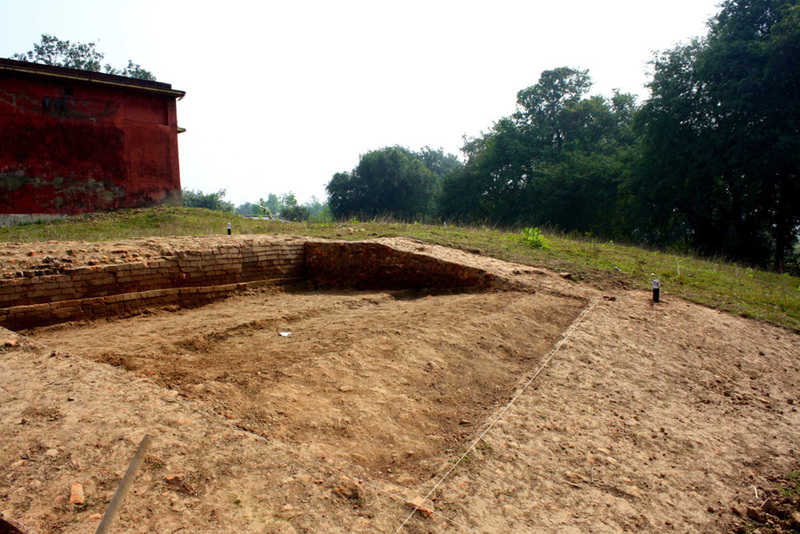 In 1996, a local schoolteacher, Narendranath Biswas, informed Asok Datta, a professor of archaeology at the University of Calcutta about various ancient-looking artifacts villagers were finding near this mound. 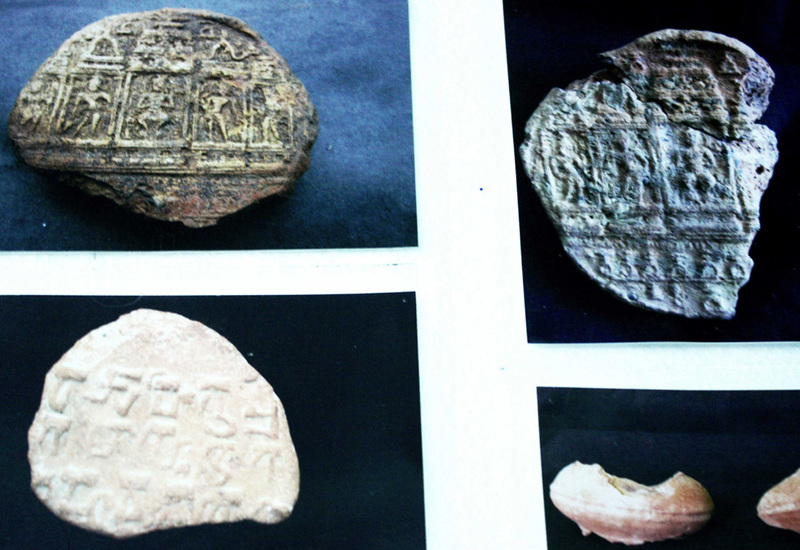 A very large number of medieval coins with Buddhist inscriptions, shards of pottery, and ornate bricks were being discovered. In 2003, the mound and two other adjacent sites were selected for excavation by Dr. Datta. This small village, Moghalmari was hypothesized to be a part of a flourishing ancient center known as Dandabhukti. Further, just as today the village is situated just off of a national highway, in antiquity, it was thought to be on a trade route connecting Tamralipta, one of the most important ports in Buddhist times, to other sites of significance to Buddhism. 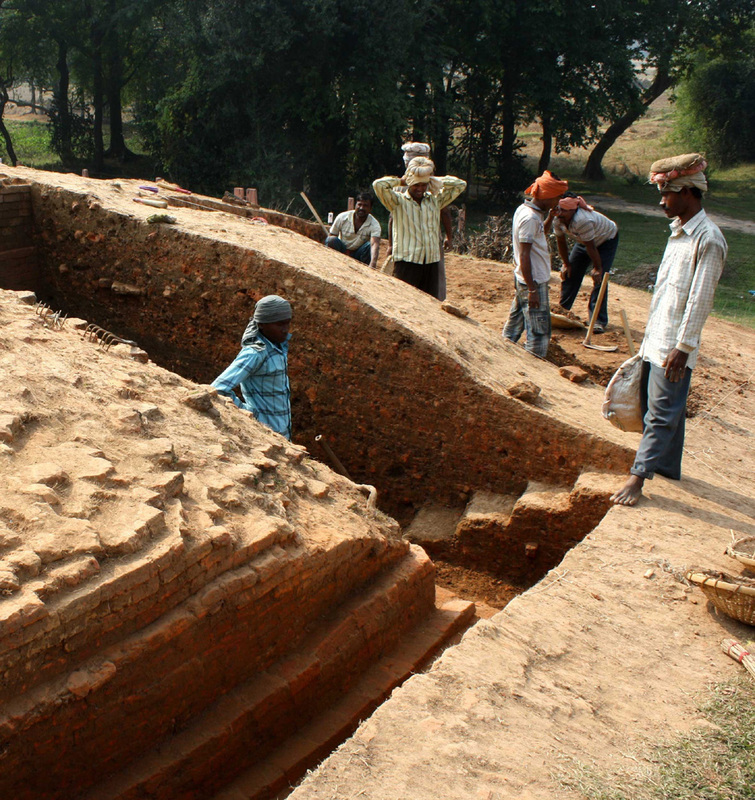 Further examination of the site led Dr. Datta and his team to believe that the Subarnarekha River, which now flows approximately 4 kilometers southwest of Moghalmari was close to the mound, further strengthening the argument that the village was once a center of Buddhist learning. Excavation began in earnest, but proceeded slowly through five stages over nearly a decade, more often hampered by lack of sustained funding and bureaucratic bottlenecks, than by any shift in significance. 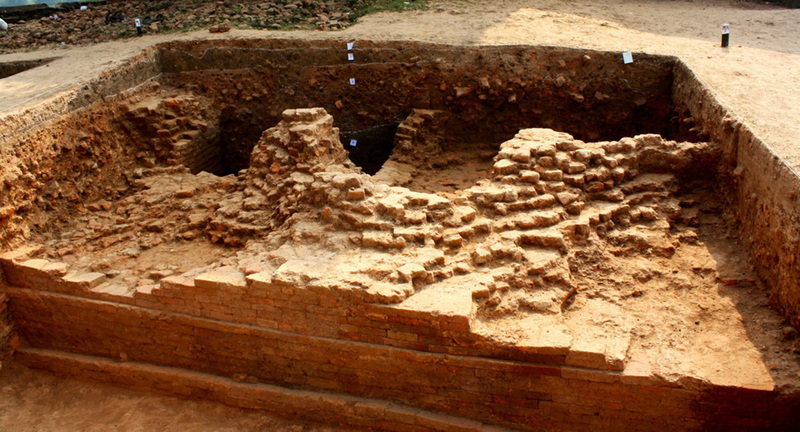 Excavations leading up to 2012 revealed that the mound was the site of an extensive Buddhist monastery complex built over centuries and perhaps as early as the sixth century, the likes of which have yet to be discovered elsewhere in Bengal. 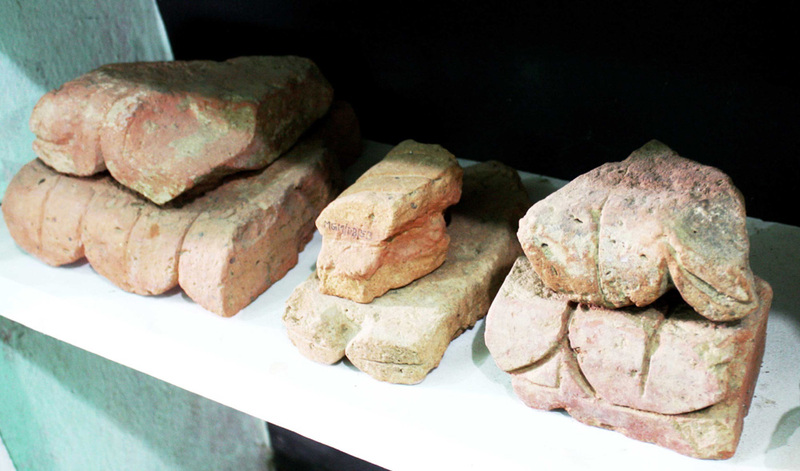 Many human figures including that of the Buddha and Bodhisattvas, bowls, terracotta lamps, tablets for worship, and seals were found within the central region surrounded by massive brick walled structures ornately decorated with stucco panels and floral motifs. Not much has been gleaned about the Buddhist monastery complex at Moghamlari from the standard texts of the time that historians rely on for information. The Chinese pilgrim Xuanzang (Hiuen Tsang) may have alluded to it in 638, when he visited Tamralipta, but he did not mention any specific name. Tamralipta is extensively mentioned by Xuanzang and Faxian (Fa Hien) before him, but to date, no archaeological site corresponding to this major Buddhist centre has been discovered. As such, Moghalmari may be the best preserved site in the vicinity and could hold the key to unraveling the secrets of Buddhist society in Bengal at that time. I visited the mound at Moghalmari in October, 2012. Up until that time, only small areas of the mound that had been excavated by Dr. Datta’s team. The area had not been cordoned off by the Archaeological Survey of India. In fact, the only sign mentioning the historic significance of the Buddhist complex at the location had been erected by a club of local citizens, who had also taken up the important task of safeguarding the excavated sites. Some relics had been shipped to Kolkata, while others had been kept in a small clubhouse converted into an archive. We were the only visitors that day. This was in marked contrast to the situation earlier this month. 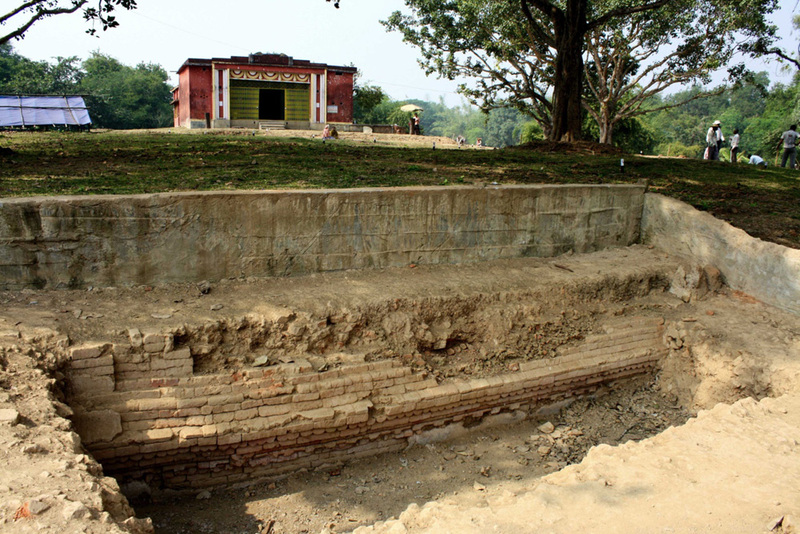 The Directorate of Archaeology & Museums of West Bengal is currently undertaking a complete archaeological excavation and restoration of the Buddhist monastic complex at the mound. I visited the site last week and was greeted enthusiastically by experienced, local diggers who had previously worked with Dr. Datta, and state archaeologists, who guided me around the site and eagerly answered all my questions regarding the layout of the complex. Work is progressing rapidly and many artifacts are being uncovered every week. I also saw a flat site adjacent to the mound, which in the near future will house a small museum of antiquities. I am very excited that we will finally learn more about this important site, and this unknown facet of our history, but I also understand there are underlying responsibilities. 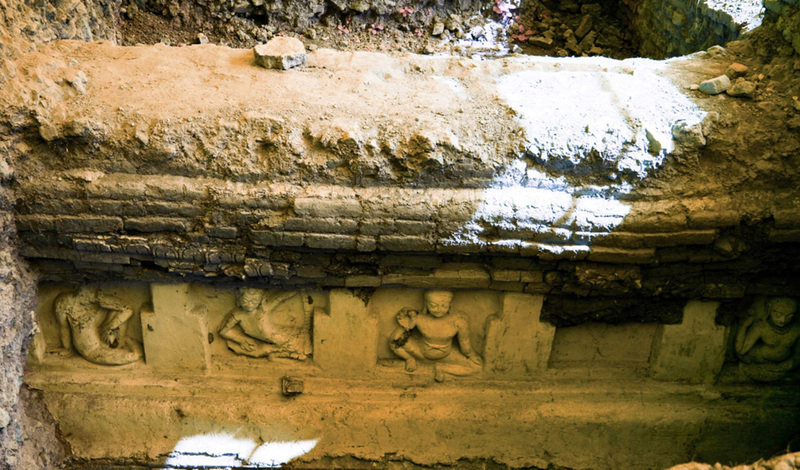 For many years, the Buddhist monastic complex at Moghalmari was safely buried under layers of soil because no one knew about it. With excavation will come the challenge of protecting the structures from tourists, vandals, and thieves. The structures will also be exposed to the vagaries of local weather such as high humidity and water erosion. Elsewhere on the subcontinent, in Mohenjo-Daro, concerned authorities are contemplating reburying exposed structures under soil to protect them from further damage as exposed walls are crumbling from the foundation. Preservation is an ongoing activity, and the people I spoke to at Moghalmari this month told me that they had thought seriously about this important duty. I remain cautiously optimistic that we will be able to rise to this challenge. Moghalmari contains extensive evidence of our early cultural heritage which deserves closer inspection: the responsibility of protecting it lies not only with the authorities who plan to safeguard it, but also with us. December 19, 2013- update: Archaeologists uncovered a gold coin from the Gupta period (likely sixth century A.D.) and a locket yesterday. The coin has the image of an emperor on the obverse, and the image of what seems to be a goddess on the other side. (An earlier version of this post was published as a column for M3).